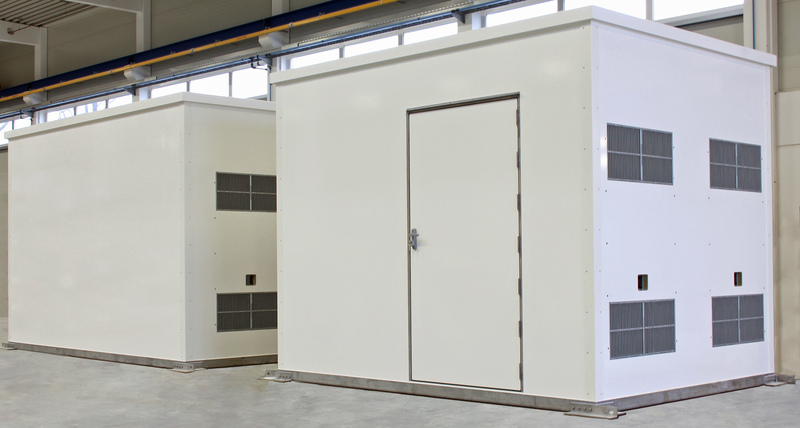 shelters combine 2 hour protection against fire for ESD electronics, with walk-in door access! May 1, 2014 --- Three groundbreaking passive fire shelters designed to protect the vital control electronics of automatic emergency shutdown and fire suppression systems on offshore gas production platforms in the Arabian Gulf are being supplied by the outdoor enclosure specialist Intertec. Fabricated using lightweight composite GRP (glass reinforced polyester) materials, the shelters employ patented techniques to resist fire for two hours – allowing critical electronic safety equipment to remain operational. Although there are currently no standards for this application area that cover containment temperatures, Intertec designs, manufactures and tests its fire shelters to a rigorous proprietary specification which demands that their internal temperature must remain below 60 degrees C throughout the rated protection time. The novel shelters are also capable of withstanding both conventional and more severe hydrocarbon fires. 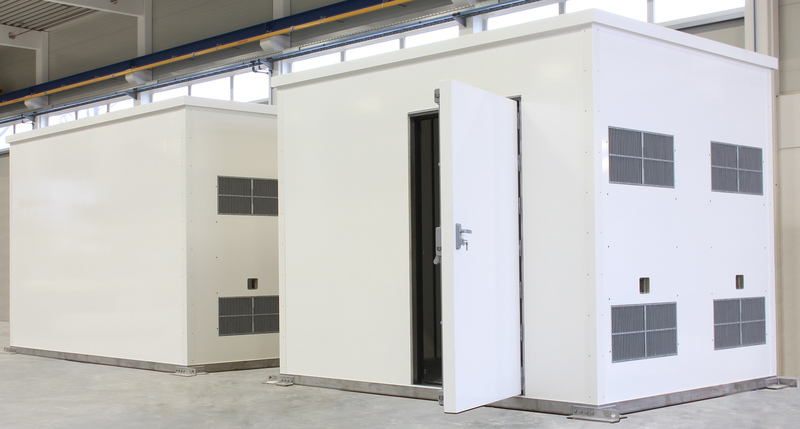 All three fire shelters are floor-mounted ‘walk-in’ models of a style more usually associated with process analyzer shelters and are the largest that Intertec has produced to date. They represent a major advance over many current fire protection technologies used in this area, such as fire safe buildings constructed from concrete or steel and covered with fire resistant ceramic tiles, or conventional shelters covered with intumescent materials – which can hinder access. The weight of the composite GRP materials that Intertec uses is about 25 percent that of steel – for a similar strength – and only 10 percent that of concrete, making it especially suitable for offshore applications. Until now, almost all of the fire resistant enclosures Intertec has produced have been in the form of smaller cabinets designed to protect specific critical process control elements of refineries, petrochemical plants and offshore platforms - typically electromechanical emergency shutdown (ESD) valves and actuators. This is the first time that fire shelters have been specified for the even more demanding role of protecting heat-sensitive control system electronics from the direct and indirect effects of fire. Intertec produces all its fire shelters using a proprietary composite construction technique, comprising one or more layers of fire-resistant mineral wool insulation ‘sandwiched’ between sheets of special-grade GRP. The overall design of the shelters is patented. By changing manufacturing parameters such as the thickness of the GRP walls and the number and type of insulation layers that they contain, the company is able to tailor the material’s composition to provide specific levels of fire resistance. Intertec’s range of fire shelters includes two product families that are designed to keep contained equipment below a specific temperature – usually 60 degrees C – for a defined amount of time in the event of an external fire. The company’s standard fire shelters are designed to withstand the type of relatively slow-burning fires that can occur in business buildings, which typically take about 30 minutes to reach 800 degrees C (1,472 F) and about three hours to attain their maximum of 1,100 C (2,012 F). The designs are verified against the time-temperature curve defined in ISO 834 – which is used in many fire protection standards – and are available with protection times from 30 to 120 minutes. For more demanding applications, Intertec’s ‘1709’ fire shelters are designed to withstand hydrocarbon fires that can reach 1,103 degrees C (2,000 F) within the first five minutes. The design of the shelters is verified against the ‘rapid-rise’ time-temperature curve that is used in the ANSI/UL 1709 standard, but with a much more stringent requirement that the internal temperature must not exceed 60 degrees C. This design criterion affords considerably greater protection against severe fires than the 1709 standard, which only covers the protection of structural steel and has a permissible temperature of 550 degrees C for the specified protection time. The fire shelters that Intertec is supplying for this Middle East offshore gas project are designed to withstand fire for 120 minutes, to afford maximum protection to the control electronics of a platform's ESD and fire suppression systems under all foreseeable circumstances. A large outward-opening door provides personnel with unfettered access for routine equipment inspection and maintenance. For air conditioning and ventilation purposes, the shelters are equipped with special fire-resistant air transfer grilles containing intumescent damper slats, that are expressly designed for use in harsh environments. Under normal conditions the grilles allow an unrestricted flow of air into and out of the shelter. However, in the event of a fire, the heat activates the intumescent material which then creates a very durable and insulating barrier against the ingress of flames and hot gases. Designers of safety systems for offshore platforms face conflicting requirements when choosing the best form of fire protection. The systems’ control electronics need to be adequately insulated, but must also be readily accessible for routine testing and maintenance. The shelter itself needs to have a long service life, demanding structural robustness and high corrosion resistance, yet it must weigh as little as possible. Ideally the shelter should also be entirely passive and require no electrical power or other services for its fire protection capabilities. The composite GRP materials that Intertec uses for its fire shelters meets all these requirements. GRP has a similar strength to stainless steel but is some 75 percent lighter, as well as being an electrical insulator with very low thermal conductivity. It is inherently inert and provides exceptional long term resistance to corrosion from salt or other aggressive chemicals that might be present in the local atmosphere, such as sulphuric acid. The outer surfaces are protected against weathering effects and abrasion by a thick UV-resistant gel coat. 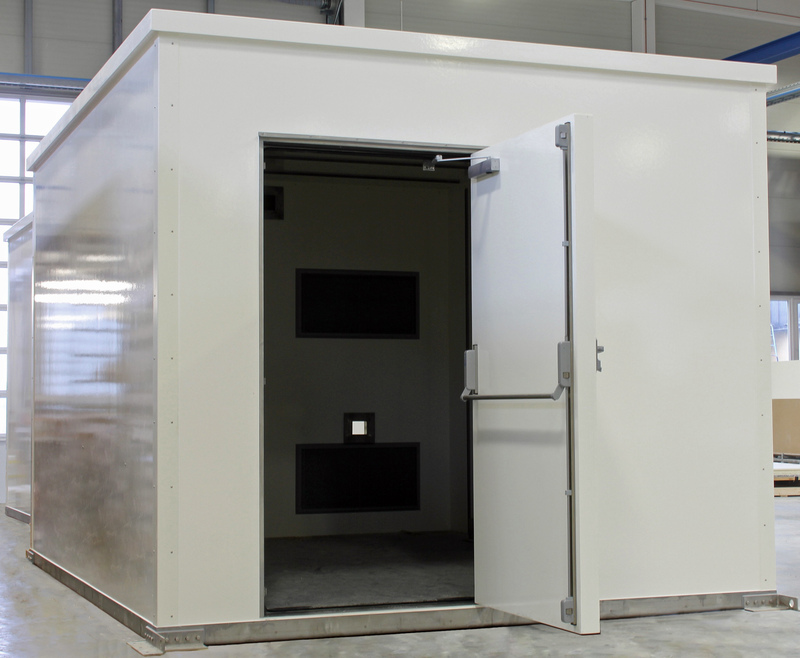 Intertec is supplying large ‘walk-in’ fire shelters to protect vital ESD electronics on offshore gas production platforms in the Arabian Gulf. Sorry there are no additional files at present. Sorry there are no addtional files at present. To view all Intertec press releases, click here. If you are interested in other press material such as an article or an interview, just call or email help@wordsun.com.